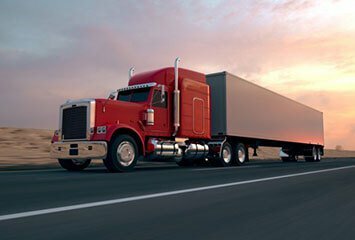 As a St. Louis trucking injury lawyer, I understand the special considerations that come into play when a large truck collides with much smaller, standard sized vehicles. Even a low impact crash can cause catastrophic, life-changing injuries. It is critical to have a personal injury lawyer who knows how to stand up to the trucking and insurance companies to ensure your injuries are treated properly, and to make sure you receive all the compensation you are due. While it would seem obvious that being hit by a speeding 18-wheeler would be devastating to the driver of anything in its path, sometimes even low-impact crashes caused by truck drivers can cause major damage to the victims of the crash. Trucking accidents involve forces that are so strong, that what would have otherwise been a minor fender bender can cause the driver of another vehicle to suffer significant injuries following a trucking crash. It is extremely important to get medical help immediately after being hit by a truck driver. Often times trucking and insurance companies will intimidate and take advantage of crash victims. There are lots of things that can contribute to negligence in a trucking crash, such as the driver being inattentive, exhausted, poorly trained, etc.. Trucking companies sometimes put pressure on their drivers to break the federally mandated safety rules relating to hours of service, load weights, and others. When truckers hurt drivers after breaking the rules, don’t let their insurance company intimidate you into settling for less than what you deserve.